Joe is a second generation auctioneer. He grew up in an auction family and began doing odd jobs in his father’s auction businessas a young boy. In 1972 he graduated Fort Smith Auction School, earned his auctioneer license and began working full time in the family business. Wilson obtained his real estate sales license in 1973 and went on to become a broker in 1981. In 1994 Joe received the Certified Auctioneers Institute designation from Indiana University. CAI is an executive development program and is the most prestigious designation awarded in the auction industry. 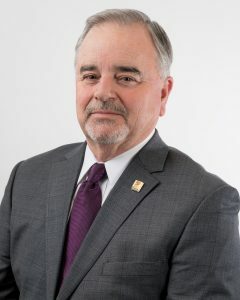 Wilson is Past President of the Arkansas Auctioneers Association, Past President of the National Auctioneers Licensing Law Officials Association and Past Chairman of the Arkansas Auctioneers Licensing Board, originally appointed to the board by Governor Bill Clinton in 1989. In 1996 Wilson was elected Director of the National Auctioneers Association (NAA), went on to serve as Vice President in 1999 and in 2001 was elected President of the 6,500 member world wide organization and served as one of the most outstanding Presidents in NAA history. In 2003, Wilson was inducted into the Arkansas Auctioneers Hall of Fame. Joe continues to be active in both State and National Auctioneers Associations and was recently honored with the President’s Award of Distinction during the 2007 NAA Conference and Show. As chairman of the “Investing in Our Future” initiative, Joe led the National Auctioneers Foundation in raising over Three Million Dollars to strengthen the association and the industry’s future. Along with being an active company CEO, Joe is an instructor at Reppert School of Auctioneering in Auburn, Indiana. He also serves as a continuing education instructor to the auction industry and the real estate industry, having taught in over 42 states, Canada and Mexico. Joe is a regular guest speaker before national audiences on various topics of selling real estate at auction. Joe has been married for 41 years to Susan Wilson. Joe and Susan have 2 daughters, Sarah Kathryn and Meredith, and a son, Spencer. The family has grown to include Sara Kathryn’s husband, Matt, and grandchildren, Charli Ann, Olivia & Corbete. Meredith’s husband David and grandson’s Owen and Ethan. Spencer’s Wife Amber and granddaughters Abbie and Allie. Joe and his family are active members of Hot Springs Baptist Church. David A. Brewer is a Licensed Real Estate Broker and Licensed Auctioneer Since 2011. 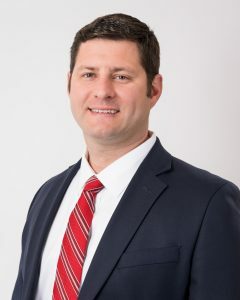 In August of 2012, David was named to the position of Vice President of Operations for Wilson Real Estate Auctioneers, Inc. Before being named VP of Ops, David was responsible for implementing several new systems and technologies for Wilson Auctioneers, Inc. Including, a new Auction Day Clerking, Inventory & Customer System with the ability to conduct Live Online Auctions, YouTube Auction Specific Commercials, Facebook & Twitter Integration. As a licensed real estate broker, David has successfully sold farms, ranches, cropland, estates, lake properties and commercial properties, throughout the states of Arkansas, Oklahoma, & Louisiana. David attended the Texas Auction Academy in Dallas, for his Bid Calling training. After receiving his Arkansas Auctioneers License in 2011, David’s bid calling experience has best been described by the expression “Baptism by Fire”. Prior to joining Wilson Auctioneers, Inc. David was a Field Industrial Engineer for Sears Holdings and was responsible for systems integration and work methods development for the Western US Distribution Centers. Previous to his work for Sears Holdings, David interned at Wal-Mart Stores Inc. of Bentonville in their Industrial Engineer Department. David earned a Bachelor of Science degree in Industrial Engineering from the University of Arkansas. David is married to Meredith Ann Brewer, daughter of Joe R. Wilson. They have two sons together, Owen David & Ethan Wilson. Between traveling to Fayetteville for Razorback games or Paw Paw’s Paradise in Sparkman for hunting, they reside in Hot Springs. Doug Received his Bachelor of Business Administration Degree from Henderson State University in 1993 & Furthered his Education Becoming A Graduate Of Reppert School Of Auctioneering In Indiana. Doug is Currently Dually Licensed as an Auctioneer and Real Estate Agent in the State of Arkansas. Doug & his Wife, Jen have a Total of 9 Children Including two Adopted Daughters from Guatemala and are Very Active In Their Church. Doug Enjoys Volunteering his Time For Several Large Charity Auctions Each Year. Since Starting With Wilson Auctioneers, Inc. In 2003, Doug Has Contracted And Coordinated Hundreds Of Highly Successful Real Estate Auctions. Doug Is Fully Equipped To Handle All your Property Liquidation Needs Including Complete Estate Liquidations, Waterfront Properties, Large Tracts Of Land, Commercial Properties, High End Residential Homes & Rental Properties. 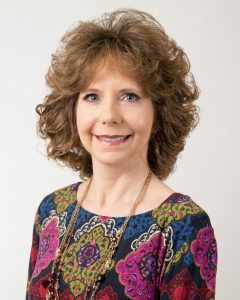 Since 2001, Gladys has represented Wilson Real Estate Auctioneers, Inc. in Hot Springs, Arkansas as a full time auctioneer and real estate broker. Her real estate auction experience encompasses the sale of Trophy Hunting Lodges, Working Farms, Lake Front Properties, Condominiums, RV Parks, Residential Homes, Motels and Commercial Buildings. Gladys attended Metropolitan Technical School in Little Rock, The University of Arkansas at Little Rock and Arkansas Tech University at Russellville. She is a 1998 graduate of Missouri Auction School and a 2006 graduate of Indiana University’s Certified Auctioneers Institute. CAI is an executive development program and is the most prestigious designation awarded in the auction industry. Her professional work experience includes employment as a licensed real estate title abstractor, licensed real estate auctioneer, licensed real estate broker, in house marketing agent for a heavy equipment auction firm, owner of an automotive parts recycling business and owner of an automotive freight transit company. Mrs. Webb resides in North Little Rock with her family. She is active in her community and currently serves on the board of directors of Stone Bank, an Arkansas community bank, as well as the City of North Little Rock Building and Housing Board of Adjustment. Additionally, she serves as a director for the Arkansas Auctioneers Association and is the current chairman of the education committee. Gladys is a past president of the Arkansas Automotive Dismantlers and Recyclers Association and a past chairman of the advisory board of Stone Bank. Peter is a licensed real estate agent in the State of Arkansas and joined Wilson Auctioneers, Inc. in 2015. Peter received his Bachelor of Science in Business Adminstration with a concentration in Economics from the University of Arkansas. Peter’s background in the oil and gas expoloration industry, combined with his studies in Real Estate and Sales, provides a valuable knowledge and perspective in opportunites to auction land and minerals in the Fayetteville Shale Play across Arkansas.Peter is married to Allison Guerin and they are expecting their first child in April of 2016. They reside in Conway, Arkansas. Peter loves golfing with his wife and is an avid hunter & cyclist. Ken is licensed as a real estate broker in the state of Arkansas and Closing Coordinator for Wilson Real Estate Auctioneers, Inc.
Ken has recently retired as Senior Vice President of Jefferson Title Co., LLC in Pine Bluff. With a career of 45 years in the real estate business, in addition to being a licensed Title Insurance Agent he is also a licensed Real Estate Broker and a Certified General Appraiser. 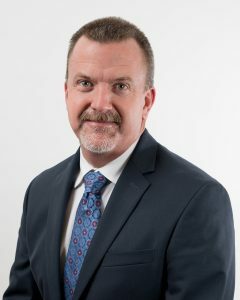 Ken has served as Secretary of the Arkansas Building Authority Council, Chairman of the Jefferson County Equalization Board, and Chairman of the Pine Bluff Planning Commission. He and his wife Teri, have recently relocated to Hot Springs. 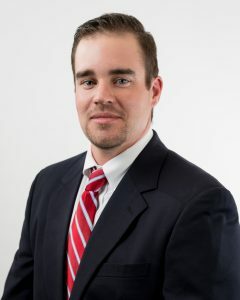 Spencer is licensed as an auctioneer and real estate agent in the state of Arkansas. 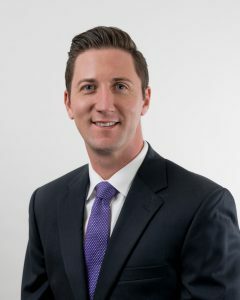 Spencer began working for the family business in 2017. He grew up in an auction family and began doing odd jobs in his father’s auction business as a young boy. Spencer is a third-generation auctioneer. He furthered his education becoming a graduate at Reppert School of Auctioneering in Indiana. Spencer studied Business Management and Marketing at Arkansas Tech University in 2008. Spencer is married to his wife Amber and has two beautiful step girls Allie and Abbie. In 2018 Spencer finished second runner up in the state at the Arkansas Auctioneers ring man division. When he isn’t spending time with his family he is golfing, fishing, hunting or at the farm playing and enjoying God’s creation. Spencer and his family is active in their church at Hot Springs Baptist. 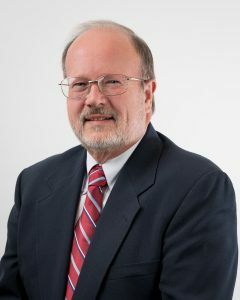 A 1971 Graduate of the University of Arkansas Fayetteville with a Bachelor of Science Degree in Business Administration Chuck has an extensive background in commercial real estate sales, leasing and development. 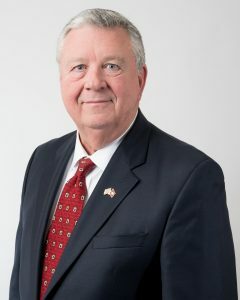 He spent seventeen years as President of the Razorback Foundation, Inc. and two and a half years as President of the Arkansas Game and Fish Foundation, both positions enabled him to build relationships all across Arkansas.He joined the firm in May of 2017 and has contracted auctions in residential, commercial and development land real estate. His background in fundraising, investments and real estate provide a broad scope of experience from which to organize and complete a successful auction, whether it be agriculture, recreation, commercial or residential real estate. Chuck and his wife, Cathy, have three adult sons and enjoy traveling, fishing, horse racing and living in Fayetteville. 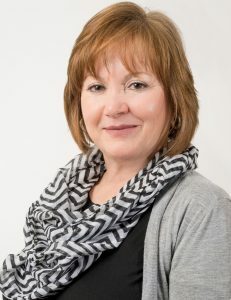 Diane joined Wilson Auctioneers, Inc. in March of 2001. She brings 22 years of administrative experience, working with all levels of executive/senior management. She is very organized, detail-oriented and keeps our busy and fast paced office flowing smoothly. In addition, she updates the website, designs all property information portfolios and coordinates the advertising/marketing of all auctions. Diane has been married for 26 years. She enjoys being involved in activities within her church and spending time with her family. Belinda came to Wilson Auctioneers, Inc. in January of 1997 as a Real Estate Agent. She brings 17 years experience as a Real Estate Professional. In April of 2001 Belinda accepted a fulltime staff position as the Finance Coordinator. She is responsible for overall financial operations in addition to her real estate functions at auction. Belinda has been married for 40 years and also assists her husband, Ken, with their plumbing business. She has 2 children and 6 beautiful grandchildren. Belinda enjoys spending time with her family and being active in her church.